The Proving Rings are made up of special steel, carefully forged to give maximum strength and machined to give high senstivity commensurate with stability, ensuring long life and accuracy. The rings are supplied complete with dial gauge and works calibration chart. Calibration can also be arranged for any proving ring at an additional cost. Proving rings to meet special requirements are also available on request. 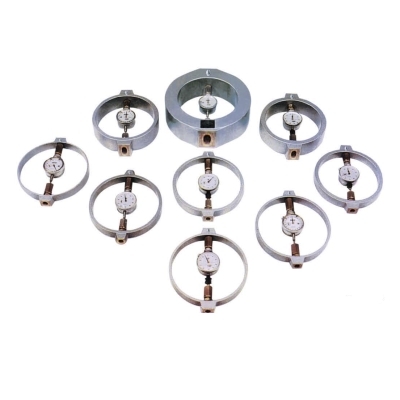 Separate polished and ground pair of loading pads for compression proving rings and a pair of shackles for tension proving rings are provided to suit each proving ring.